Bangkok Web Agency is a Creative Digital Media Agency in Bangkok focusing on web design and development of CMS (content management driven) websites. We provide you with a stable website platform so that you will be able to edit your website by yourself (or have your team do it for you) once we hand over the website to you. Of course we can continue to handle maintenance and content updates if you wish us to do so. It is important to us that you will be able to update your website by yourself (or have one of your staff take over that part) so that you can quickly make changes when adding/updating a product or service and continually be able to improve and adapt the content of your website. By being able to update your website by yourself, you will safe both time and money. We can train you at your site, or via Skype or even Teamviewer. Of course we can also maintain and update your website on your behalf if you prefer. Some businesses do not fit the norm and require special functionality on their website (or back end/back office system) due to the nature of the product or service or their unique marketing approach. We are here to listen to your needs and offer a custom solution to address your problems and help you reach your goals. We are looking forward to meet with you to start a discussion on how we can offer a customized solution just for you. All of our e-commerce shop websites are easy to update and provide an intuitive interface. We create shopping solutions for a whole range of product types whether you are in Bangkok, Thailand, or overseas. We personally will train you through the challenges of running an online business. Learn more about Bangkok Web Agency’s online shopping solutions. For many businesses, sending regular newsletters to their clients is an important part of their online marketing strategy. In order to build your email database, your website will contain newsletter signup boxes as well an intuitive back end, which contains all the tools you need to send, monitor and manage your customers. For larger mailings we have teamed up with MailChimp to send and monitor your campaigns. More and more of your clients will access your website’s services and products via their mobile phones and/or tablets. As such, we have have developed our CMS in such as way to make it easy for you to update your Mobile website or app with simplicity and without any coding knowledge. Nearly every business requires some level of social media presence, whether it be on Facebook, Twitter, Google +, you name it. 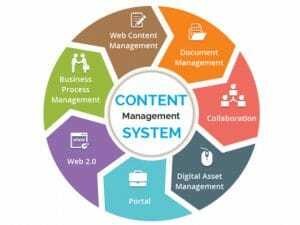 Our Content Management Websites provide a fully integrated managed social media interface which can be adjusted to your liking. These tools build the perfect link between your website and the social media channels so that you can keep your followers up to date about news or new products/services. You want your website to represent your business, brand, product, or service. Our Bangkok web designers will carefully draft several website templates that represent your image for you to chose from. All of the websites we create take our client’s marketing message and image into consideration. Bangkok Web Agency’s goal is to make your produces and services accessible online 24/7, 365 days a year. We do this by creating database driven websites with a strong foundation to help you communicate better with your clients and focus on selling your services/products and not having to worry about the technicalities of a complex website. For over 8 years Bangkok Web Agency has been developing and designing CMS driven websites for a multitude of different businesses. Please view our past projects and feel free to contact us for further information.